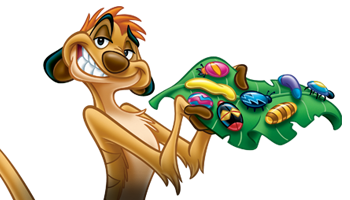 Timon and Pumbaa have learned many Safety Smart® lessons and would like to share a few of them with you. Do you wash your paws often? Twenty seconds of washing time rinses away all the grime. Timon and Pumbaa learn they need more than a computer or a game console to surf the web – they need safety smarts! Our friends learn the importance of protecting their personal information, how to be responsible digital citizens, and what to do if they are bullied. Disney Parks and Resorts, in cooperation with , is pleased to provide you with Timon and Pumbaa's Wild About Safety. © Disney. All rights reserved.